WARNING: This review contains very little humour (nothing new there then *chortle*). It doesn’t even attempt to derive humour from an ironic or non-ironic use of the word ‘fantastic’. 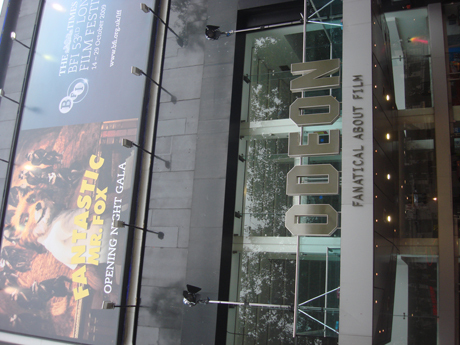 The 2009 London Film Festival has begun. Very early this morning, the world’s press (a few of them anyway) descended upon the Odeon Leicester Square for a press screening of Fantastic Mr. Fox, the new one from Wesanderson. I wasn’t that excited about FMF. 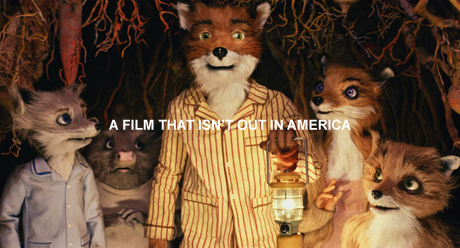 It didn’t even make it into the top 20 of my ‘Must See Movies‘. I’m not the world’s biggest Wesanderson fan, and I was worried that I might get an allergic reaction from the high levels of quirkleness. But no. The animation takes a little getting used to (it’s quite bizarre at times) but once you get it, YOU GET IT and after that, it’s a big old joyball to behold. It makes me want to use the phrase ‘like nothing you’ve seen before’. The voices are brilliant. I don’t care if they’re all American even though it’s set in the UK. Jason Schwarzman and the Cloons deserve a special mention. And there’s an amazing bit with Jarvis Cocker playing a version of himself called Petey. Apparently there have been so many animated movies this year that there will be 5 Oscar nominees rather than 3. It doesn’t matter either way, because an idiot could tell you that it’s this or Up for the big money. 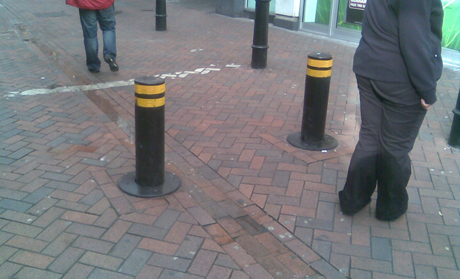 BONUS: The best bit about a big London premiere like this is that you can hang around by these bollards and wait for the lorries to start driving in. When they do, the posts automatically lower into the ground and then rise back up afterwards, at which point you can experiment with balancing things on them. Funtimez!